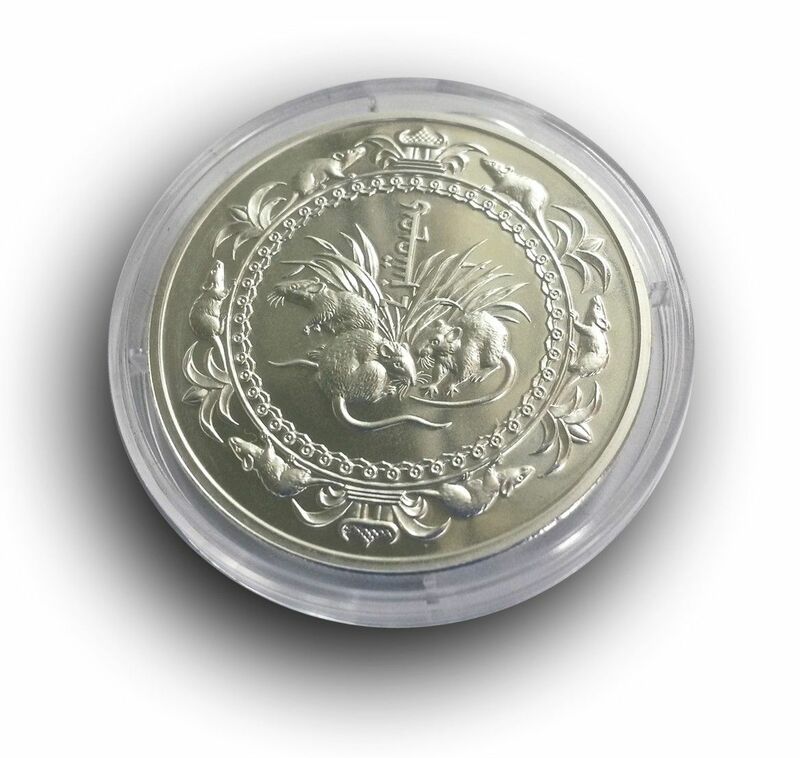 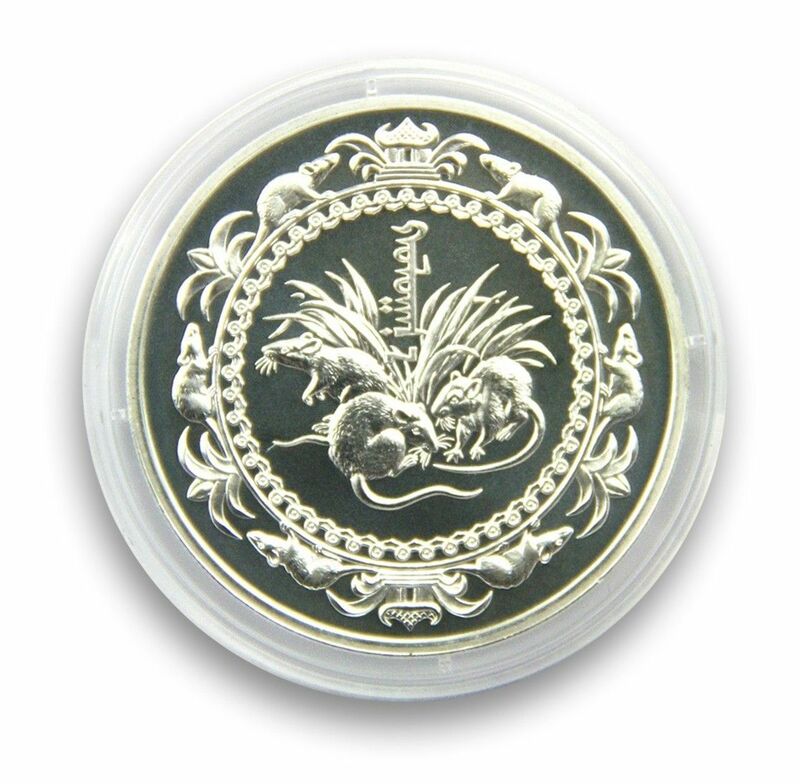 An ideal chance to acquire a rare world coin. 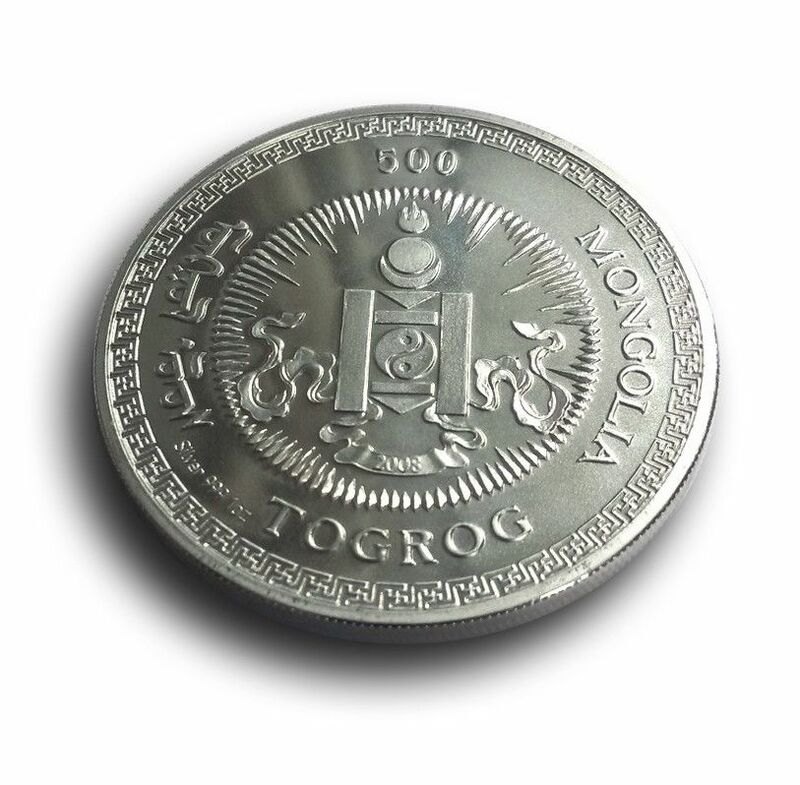 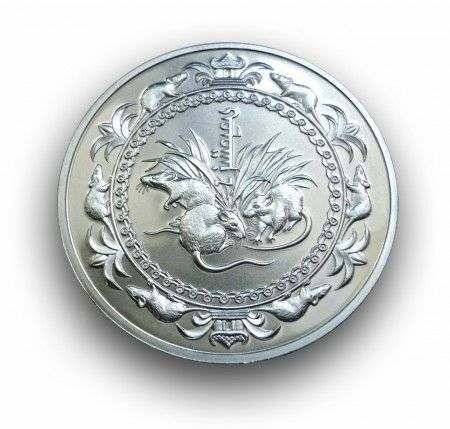 Obverse: The National Symbol the Soyombo, with the 500 Togrog denomination. 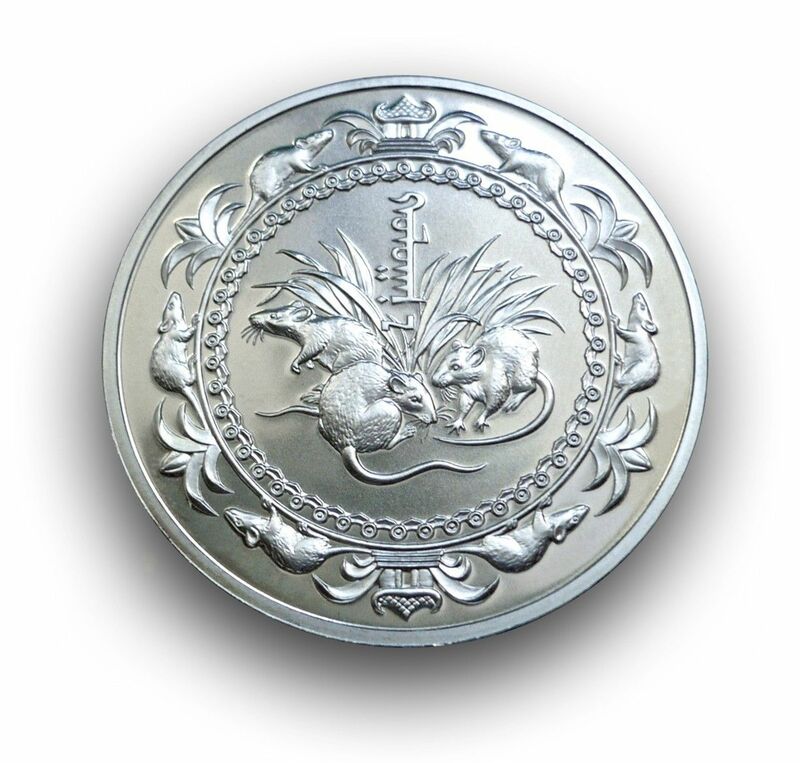 Reverse: Features 3 Rats in long grass, with 6 Rats scrurrying around the circular design.